Aftermarket 4WD suspension is extremely complex. Determining the right solution for your vehicle and your requirements demands special attention to many factors. 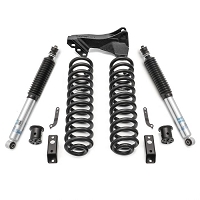 Unlike numerous aftermarket suspension systems, which are only available in a single configuration targeting lift height, OME offers a range of tuned and matched integrated suspension systems to ensure the right suspension is available to suit how the vehicle is outfitted and the conditions it will encounter. Kit numbers have been created for the 2011+ trucks, allowing for easy ordering of all the components needed to reach 3 unique heights. Individual components are also available for purchase in the traditional Old Man Emu fitment style. The OME Engineers objective was to develop an integrated suspension system for the later model Ford F250 and F350 Super Duty models. Areas considered when developing the suspension system for the F250/350 were lift and load carrying, but particular attention was paid to improving the ride quality. The Ford F250/350 runs a traditional full size truck suspension set up consisting of front and rear live axles. 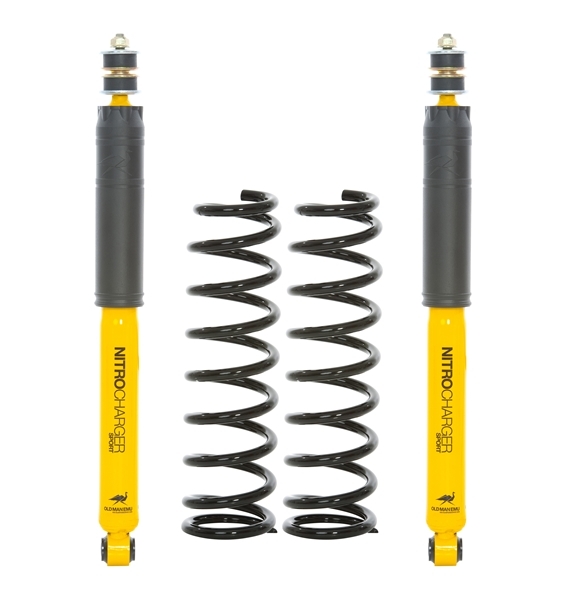 The individual components consist of coil spring, shock absorber, radius arms and track bar (panhard rod). 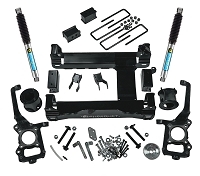 The rear suspension set up consists of leaf spring and shock absorber. When lifting this type of suspension geometry consideration was needed to be given to caster, lateral position of front axle and steering geometry. Once ride height was determined it was also important to consider any potential areas that need to be addressed by increasing travel.